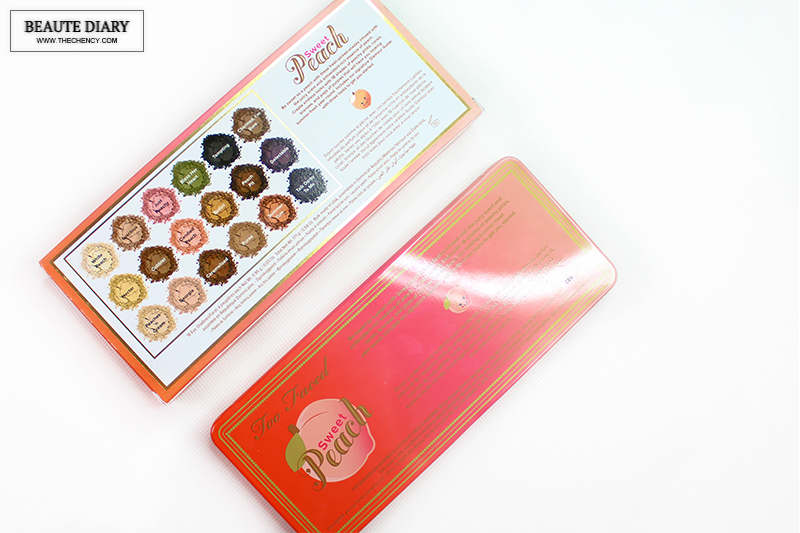 Too Faced Cosmetics is well-known for their delicious scented eyeshadow palettes that smell as amazing as they look. 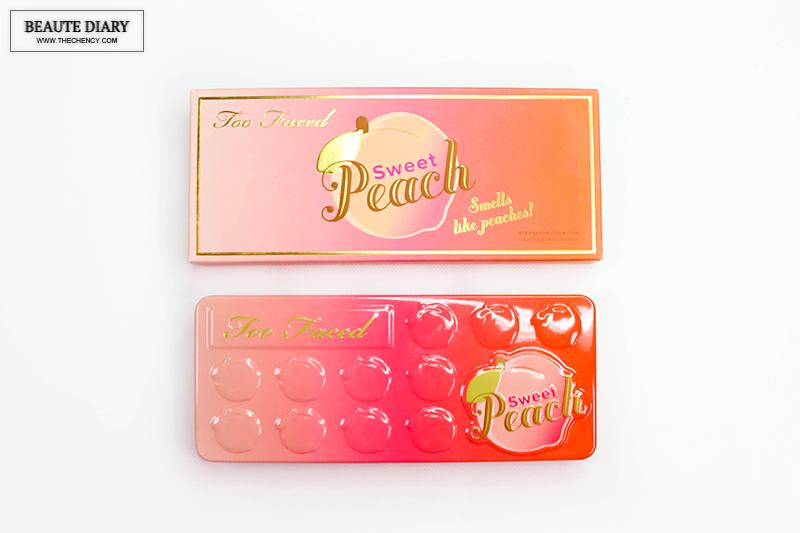 This summer 2016, they have new Too Faced Sweet Peach Eyeshadow Palette that's smell just a like peach. Another interesting part is this palette has more color (18 shades) than their previous Chocolate Bon Bons Palette, Semi Sweet Chocolate Bar Palette, and the Chocolate Bar Palette which are only 16 shades. The size of the shadow is now consistently the same size which I am more than happy with it because I'm kinda frustrating when a design is not consistent and align (personal problem lol). 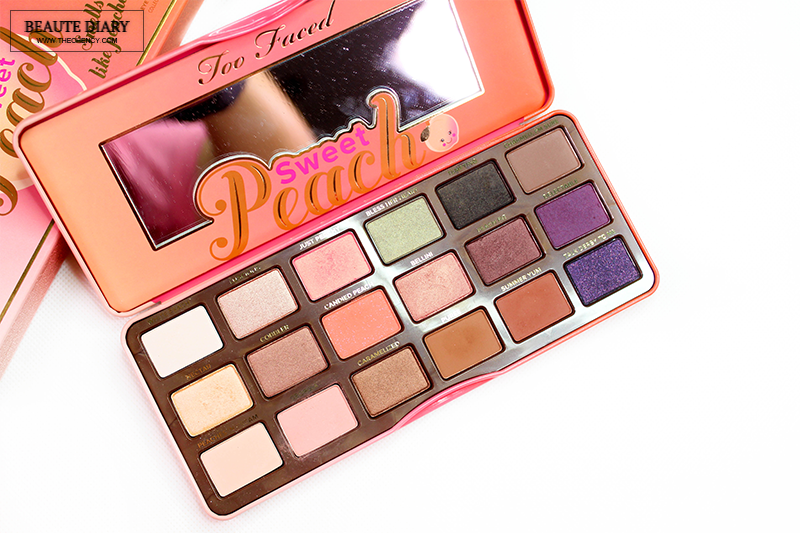 Too Faced Sweet Peach Eyeshadow Makeup Palette, obviously is a peach-tone color scheme palette. It is the combination of peach, brown and few shades of dark color in mostly warm and some neutral undertone. I really in love with this palette and become my everyday go-to palette. This color is so perfect for summer and sweet look. 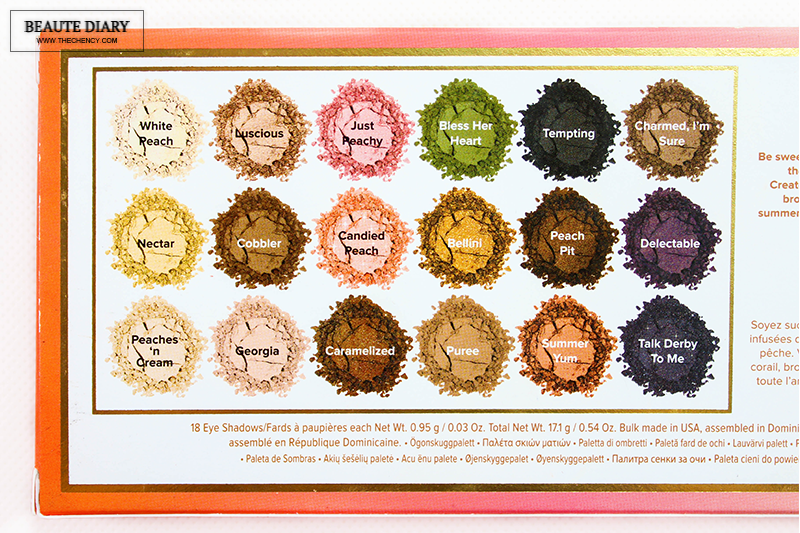 Asian girls will definitely enjoy this palette as we are always into this kind of color on our lids. 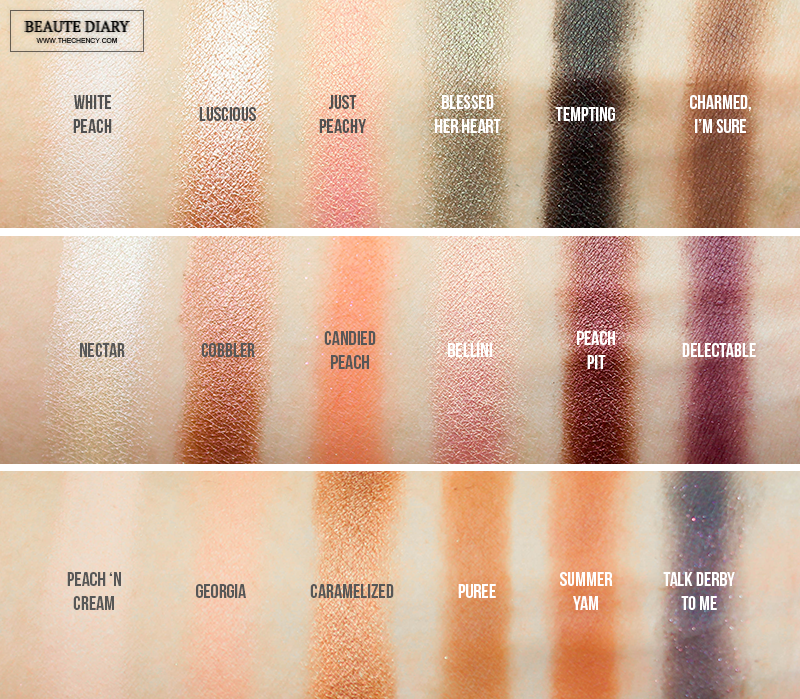 Formula wise, some of them are so buttery and creamy (mostly on matte eyeshadows), very pigmented and not patchy or chalky. Only some of those dark color with sparkle / glitter might create fall out when applying on so it is advisable to apply lightly and build up the intensity. By the way, this palette is retail for MYR 215, available in Sephora and Sephora's Online. Your eye make up is fabulous dear! Loving the colours on the palette, ok not sure if I will like the scent either,but damn that price tag is scaring me a little. woah your eye make up is so pretty...i love the peach scent here tooo!! Love the packaging and the colours... and you rock the colours so well!!!! Love the colours! looks so youthful and radiant, and I adore your makeup skill too! keep it up. 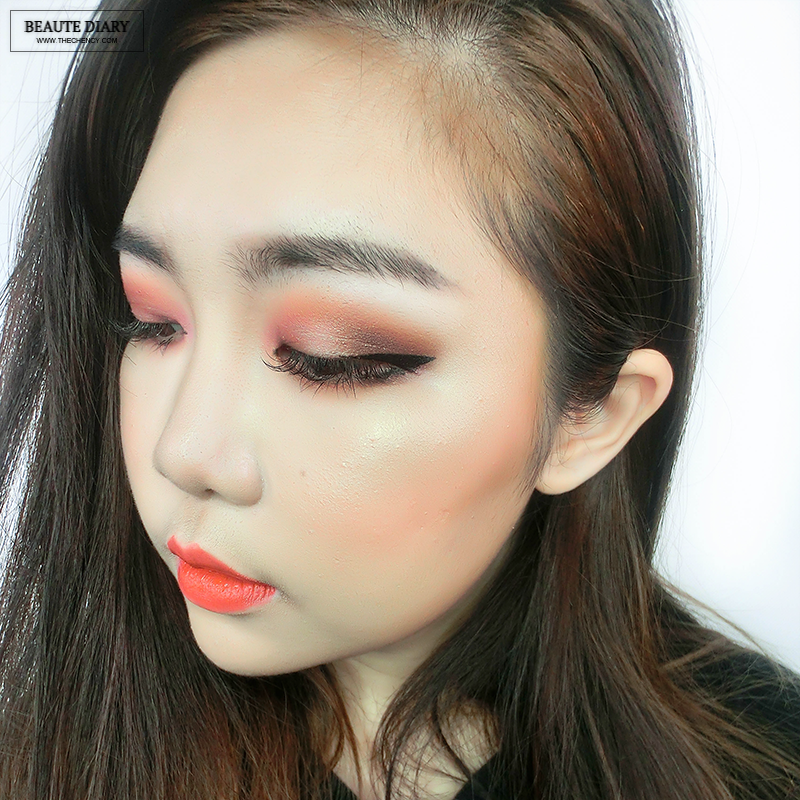 OMG love the colours by Too Face so much! Feels so summer!